Grace (11/1/1895 – 4/28/1982) and Franklin Bernsen (2/7/1893 – 1/17/1984) created the foundation that bears their name in 1968, to honor their long-time home in Tulsa. Well before there was a foundation, the Bernsens supported a number of important causes and their philanthropy continues to benefit the community today. Franklin Bernsen received his early education in Pennsylvania and New Jersey, before graduating in 1915 from Williams College. There, his class yearbook made note of a "good-natured personality and ready line of talk." Prophetically he was remembered for his keen determination and most predicted his eventual success in business. After graduation, he joined his family in California, in the early days of the Golden Era of silent movies. The handsome Franklin appeared as an extra in several films including A Night at the Show featuring Charlie Chaplin. He also started work in the Taft oil field for General Petroleum and made his first contact with the Lucey Manufacturing Corporation that would later play a major role in the lives of Grace and Franklin Bernsen. While in California, he served as a driver for a Canadian family that wanted to tour the state. It was on one of these trips he met Grace Wilson, a 1912 graduate of the West Lake School for Girls in Los Angeles and the two were destined to marry. After overseas service in World War I, Franklin joined the Lucey Manufacturing Company in what would become a lifelong career move. His successful sales techniques earned him early recognition and he was sent to Covington, Oklahoma, a community east of Enid. Less than ten years after joining the company, Bernsen was made president of the Lucey Products Company located in Tulsa. 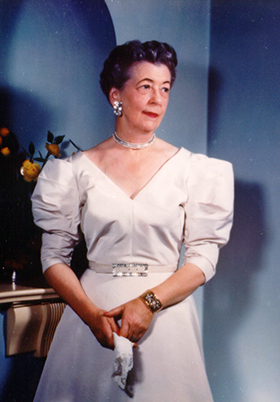 In Tulsa, the Bernsens became known for various civic and philanthropic interests. 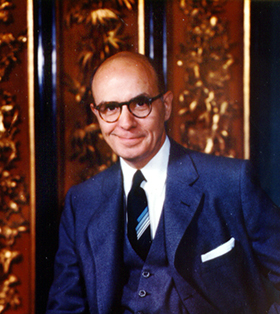 Franklin was a founding member of Southern Hill Country Club and an active and generous supporter of the First Presbyterian Church, Tulsa Philharmonic, Philbrook Museum and the Boy Scouts. They helped support the Mother's Milk Bank at St. John Hospital. When infant formula made milk banks unnecessary, the Bernsens donated a neonatal, intensive care center to the hospital. "To know this equipment saves even one life – or improves the quality of life for a new human being – is ample repayment for my wife and myself." Franklin Bernsen passed away in 1984. The foundation that he and Grace created continues to fund scores of charitable, nonprofit organizations seeking to better the lives of Tulsans. Many believe the foundation demonstrates impressive stewardship in the public interest and takes its lead from an extraordinarily warm hearted and forward-looking Tulsa couple. The foundation has a much longer history of the Bernsens it commissioned several years ago. Anyone interested in learning more about our benefactors are invited to contact the Grace and Franklin Bernsen Foundation office.